1x BBC micro:bit board with Quick Start Guide - A pocket-sized codeable computer which is super easy to use and can be used across the curriculum. 1x Braided USB Cable 1m (8cm is just not long enough) - A Braided Aluminum Micro USB Data & Sync Charger Cable Cord. 1x Battery Cage with switch (BBC micro:bit Go cage doesn't have a switch) - The JST connector easily plugs into the BBC micro:bit to provide a portable power supply. 4x AAA Batteries (BBC micro:bit Go includes only 2) - Long lasting, dependable power across a wide range of everyday applications. The micro:bit has a lot of features, like 25 red LED lights on the front of it which can flash messages. There are two programmable buttons that can be programed to control games or even pause and skip songs on a playlist. 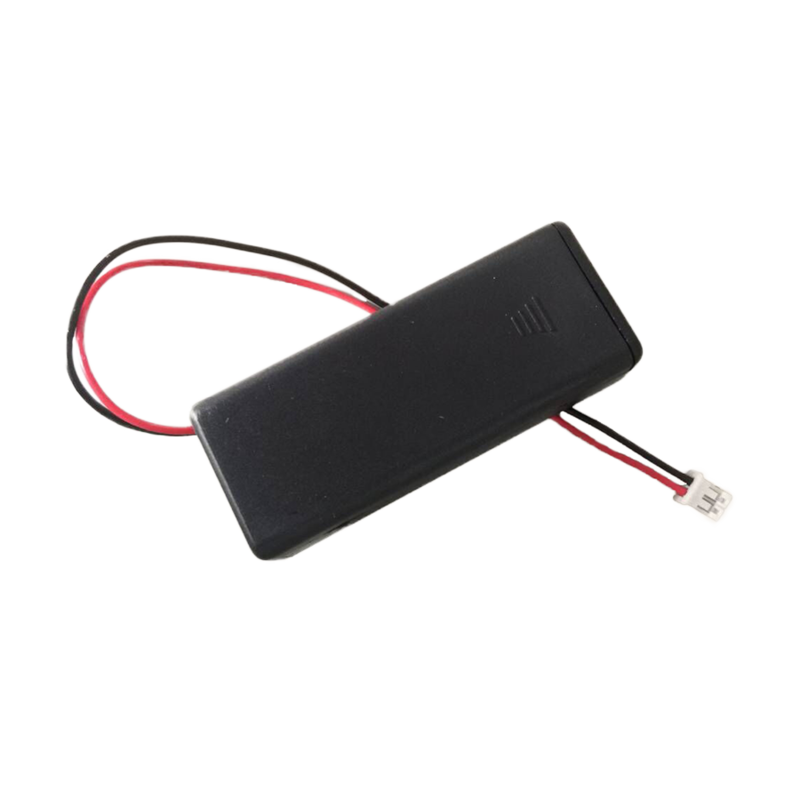 It can detect motion and tell you which direction you're heading by its built in accelerometer and magnetometer, and it can use a low energy Bluetooth connection to connect and interact with other devices and the internet. 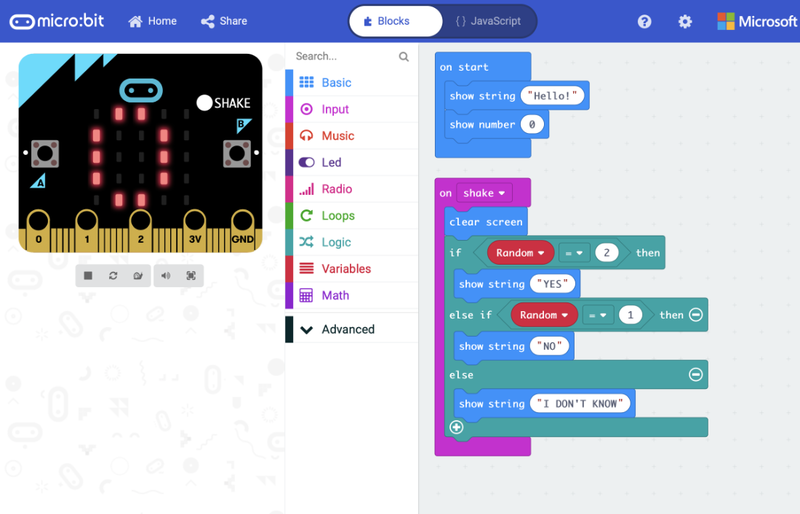 micro:bit has recently updated their editor, with the previous version still available for anyone that needs it. If you have any issues accessing the editor, check that it isn't blocked in your school. Our Python editor is perfect for those who want to push their coding skills further. A selection of snippets and a range of premade images and music give you a helping hand with your code. Powered by the global Python Community. 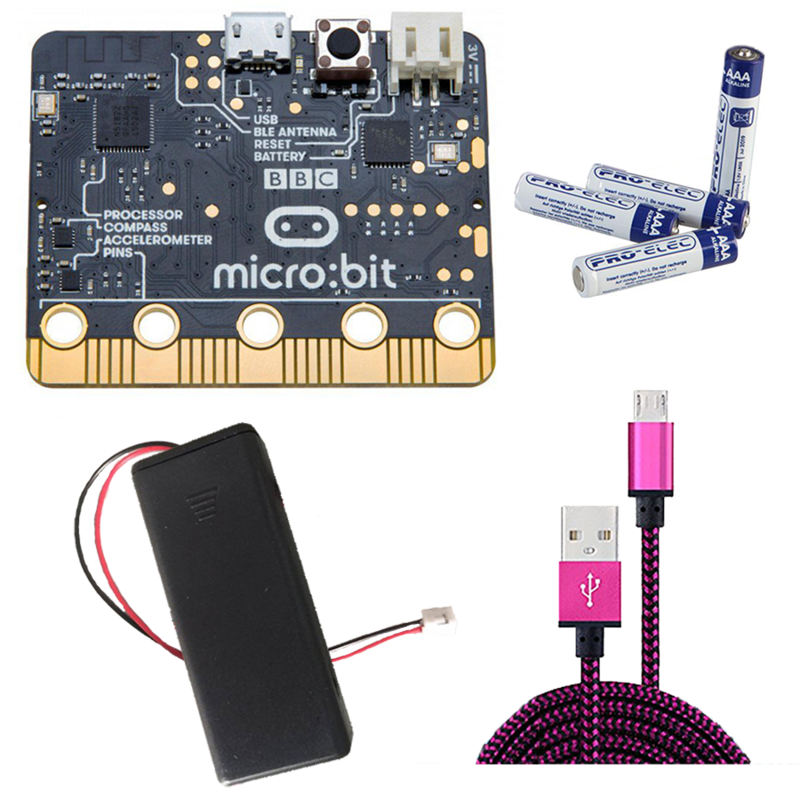 The micro:bit apps let you send code to your micro:bit wirelessly using Bluetooth. No leads needed! Learn more about using Applications. Download The BBC micro:bit app for your Android device using the Google Play App. 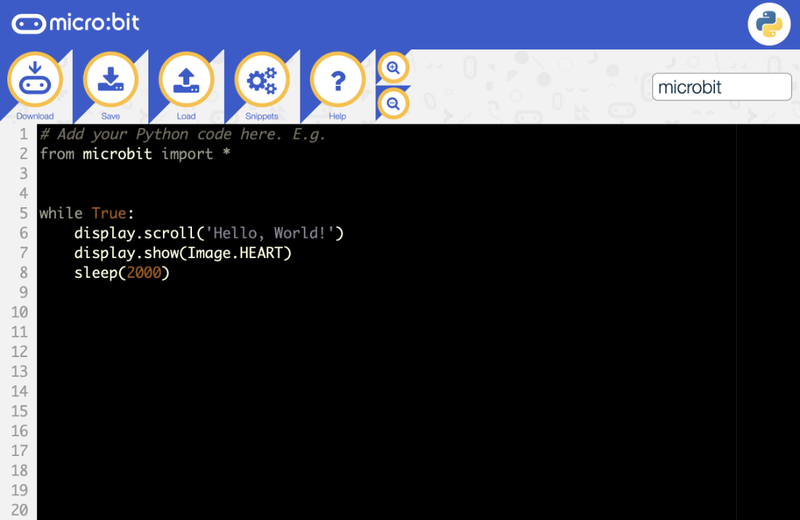 Program the micro:bit using the MakeCode editor on your Windows 10 device. In addition to the familiar features of the web editor, the app lets you program your micro:bit over USB (without needing to drag-and-drop the file onto the micro:bit drive) and directly read serial data from your micro:bit for data logging and other fun experiments! Learn to code the micro:bit in Swift with our interactive 'book' for iPad. Discover the fundamentals of code while having fun with your micro:bit!